10% OFF ON VYNCS FLEET - Revealing the Black Friday Deal! The deal starts today, on 20th November 2018. We have kept waiting you for long, and here’s it is - get a 10% off on Vyncs Fleet GPS trackers. Vyncs Fleet is a commercial version of the Vyncs GPS tracker and uses the same technology but with loads of additional features. Most importantly, you can manage fleets of all sizes with this compact, battery-less device. Vyncs helps you in getting driver trip summary for each and every vehicle. This can help you in managing assets. Get details of your vehicle’s health, fault code reports, vehicle emission scores, fuel economy reports, engine health diagnostics, and much more in an easy to understand format. The Vyncs app installed in your smartphone/ web account gives you maintenance recalls in regular intervals. If you are having a large fleet, you can assign sub-fleets or fleet managers so that to manage the business properly. Vyncs Fleet app helps you in providing vehicle emission scores on the basis of the distance driven by the particular car, total Carbon-dioxide emitted and the greenhouse gas score. You can keep an eye on the driving habits of your drivers by getting notified about harsh braking, speeding, idling, acceleration, turning and other unsafe practices. Vyncs fleet provides you with a detailed report on fuel economy and how much fuel is consumed on the basis of total distance traveled and total driving time. For more details on VycnsFleet and why Vyncs read Why Vyncs GPS Tracker There are many more useful features offered by Vyncs Fleet and the best part is that now you can get all that and an awesome BLACK FRIDAY discount along with it! GPS tracker have become an essential part of our lives and they can help you track almost everything. We use GPS enabled devices in our daily lives to track and locate many unknown places, but did you ever wonder how GPS trackers work? Well, let's find out. In this article we will walk you through all the in-depth details about GPS tracker. A GPS tracker is a device that makes use of a cluster of satellites in order to locate your position on the face of this earth. GPS trackers often provide latitude, longitude, altitude, and heading data for a given location. These days GPS trackers are widely used for many applications ranging from fleet monitoring to pet tracking. GPS tracking and GPS navigation are somewhat different. If you thought navigation GPS and GPS tracking are two different terms with same meaning then this should clear your concept about both. GPS navigation finds your location and helps you with the directions, while GPS tracking documents your GPS location so you can see where you have been. While the former tells you where to go, the latter tells you where you’ve already been. With a GPS tracking device, you can keep a trip log and this can perhaps help you with fuel costs and vehicle maintenance in the long run. The GPS or Global Positioning System was initially created by the United States government in 1973 for the Department of Defence to serve military purposes. It was in the 1980s when the technology was made available to the civilians by President Ronald Reagan. The quality of GPS was curtailed by the government in the 1990s so that to make it selectively available for the security and privacy reasons. By 1995, the Global Positioning System was functioning sound, but by 2000, the GPS system was made globally accessible by President Bill Clinton. This improved the GPS globally for the civilians and commercial users, as they had access to the full capabilities of the GPS. The Global Positioning System continued to advance and improve, with newer and better satellites being implemented and used for more accurate location tracking. As the GPS is run by the United States government, there is still a possibility of GPS service being degraded again, or even denied. For this reason, other countries are developing their own location/navigational systems and working on improving accuracy. While Russia has Glonass, in China there's BeiDou Navigation Satellite System, Galileo in EU, QZSS in Japan, IRNSS in India and so on. Scientists and engineers from different countries are also working on improving GPS accuracy. One of the upgrades that are being worked on is using L5 frequency in GPS devices. With L5 frequencies, devices will have a significantly higher level of accuracy than before, with location precision within 30 centimeters, or less than a foot. This update was aimed for public release in the year 2018, but at this point, it is still pre-operational and thus not widely used. You’ll find GPS trackers commonly in most of the mobile devices nowadays, and this is one of the prime reasons why GPS tracking system has become quite popular. Few of the features & benefits that you get with your GPS-enabled electronic device is as follows. Access trip history easily - GPS trackers collect and store your location data so that you can go back and look at the trips you made. In addition to collecting information about location, some GPS trackers also have the capability of measuring speed. GPS trackers which are data analytic-driven can provide additional information about your trips. Easy Real - time tracking - Many GPS trackers provide real-time tracking, which means that the location is updated live. This allows you to use your tracker whenever you need. Access to data on the server remotely - Not all the GPS trackers allow you to access the data remotely on a server, as some trackers store it in the internal memory of the device. Although, most modern GPS trackers will have the data accessible from a server so it can be accessed remotely from anywhere and at any time, which means you can access your vehicle or anything even when you are not present in your base location. Geofencing & creating zone alerts - The term- ‘’Geofencing’’ is used widely nowadays. With this capability , you can create a virtual “fence” around a certain area and you wold receive arrival/departure notifications whenever the tracker enters/exits that particular zone. Data loggers record location in routine intervals and save the information in the device’s internal memory. Some cameras use data logging to display the location like where the photo was taken at, and data loggers can be used to track vehicles as well. Data pushers are the most common GPS tracking units & are commonly known as “GPS beacons.” Rather than saving the location data on internal memory as data loggers do, data pushers send and store the information on the server. This means the storage space of the information is not as limited as for the data loggers. Data pushers can also collect information about speed or altitude, and store all of the information to the predetermined server at routine intervals. Data pushers are used for personal purposes as well as commercial purposes. The GPS tracker in your phone is a data pusher, and so are many vehicle tracking devices. Data pushers are also the type of GPS that is used on store items to prevent theft. Data pullers are the last type of GPS trackers, and they are also called GPS transponders. The data puller GPS does not send location updates at routine intervals, but instead, you have to request the data from it. This type of GPS is sometimes found in computers or for items where the location does not need to be known constantly. OBD GPS trackers plug into the onboard diagnostic (OBD) port of a light or medium duty vehicle. Usually, an OBD GPS tracker device draws power from the OBD port itself and contains a built-in antenna along with a GPS module in order to receive the GPS signal. In addition, OBD trackers communicate with the different vehicle subsystems for receiving vehicle diagnostic and fuel consumption related data. 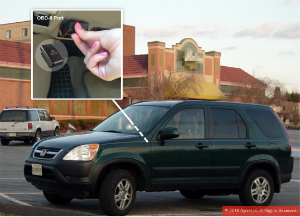 A cellular OBD GPS tracker directly communicates with the cell tower in order to send the location and other vehicle performance data to the server over the cellular wireless network. There is a huge growth in the OBD tracker’s user base and vehicle owners now prefer OBD GPS trackers over ordinary GPS tracking devices as the former one can keep a check on the vehicle’s health along with tracking the vehicle's location. Read more on how OBD tracker is better than other trackers. Advanced GPS trackers do much more than just tracking – they provide you with engine health diagnosis and other onboard diagnostics that sums up to provide you with vehicle performance information. The best thing is about the advanced GPS trackers are that they are predicted to hold the largest market share in the whole GPS tracking market which would make it the future of GPS tracking technology. According to the statistics, there is a huge growth in the GPS tracking and onboard diagnosis market. The Asian-Pacific (APAC) region is expected to experience large growth in the GPS tracking market. Currently, GPS tracking device usage is relatively low in the area, which means that there Is a lot of room for growth. One of the biggest examples of technologically advanced GPS trackers is Vyncs, that provides you with real-time tracking, vehicle health status, trip logs, trip time reports, fuel cost tracking and much more. The personal use of GPS trackers is estimated to grow 40% or more every year. The GPS tracker market is estimated to be worth US$3.4823 billion in the coming years. There are many GPS trackers that exist for cars and other vehicles, as well as commercial vehicle fleets. Most of them are battery operated. These GPS trackers can be placed in the car, and the tracking data can be accessed remotely from a server. These are a type of data pushers. A data logger GPS isn't of much use for the vehicles particularly if you are interested in real-time tracking, because it cannot be used for remote tracking in real-time. Other types of trackers can be plugged into the OBD-II port of the car and are mostly used by mechanics to collect more data and provide more analytical information. GPS trackers for fleets have advanced features compared to the Car GPS trackers. They use the same GPS technology, but the analytics portion is more complex because there are more vehicles to keep track and the user needs data for each and every fleet distinctively. Fleet trackers use telematics technology and can be placed under the category of data pushers. Vehicle GPS trackers: When it comes to GPS tracking for Vyncs and Vyncs Fleet, one must go for the one that provides best of features and is the most cost-effective. As per the survey reports, Vyncs is currently the best-selling car GPS tracker available in the market. It plugs into the OBD-II port of the car, so it doesn’t use batteries, and uses a minimal amount of energy from the car. This means you don’t have to worry about replacing them, just plug in and use for an entire year without paying anything. As mentioned before, Vyncs is a data pusher, and it provides standard location updates every 3 minutes. Upgrades are available for 60/30/15 second updates as well, as ‘’Live Map Auto Refresh’’ feature. Apart from GPS tracking, Vyncs provides a variety of analytics such as driving safety and fuel tips. As it is plugged into the OBD-II port, you get a detailed health report of your vehicle. Vyncs Fleet is made for commercial fleets and provides GPS tracking for an unlimited number of vehicles. Managing your vehicle fleet is much easier with the advanced features such as automatic tracking and analytics, which are accessible through the web server and mobile application. You can keep a track of your vehicles, the productivity of your workers, the costs, and much more. How to improve the accuracy of GPS data? In layman's language, if there's any obstruction between the satellite and the device that results in weakening of signals, it may give inaccurate GPS map reports. Landscape's characteristics (enclosed spaced reduce the signals). Hidden device (hindering the path between the satellite and the receiver). You may face an accuracy problem when you are driving within the steep valleys, in urban areas or on the slopes of the mountain, as the sky area is not much visible in these places. These areas have less number of satellites in the direct line of receiving site and that primarily causes accuracy problems. If your device is kept hidden in the vehicle, make sure that there’s no hindrance or obstruction in the path of the satellite & the receiver (the device). Reliable Real -Time GPS Tracking - Get data from the Vyncs device in your account through the cloud-based technology over a 3G/2G wireless network in real-time. It comes with all the bell and whistles that you would expect from a great GPS tracking product. Trips, zone arrival/departure notifications, start/stop street addresses, live maps, geo-fences are few of the examples. Trip logging - With Vyncs GPS tracking, you can access the log all your car trips automatically. Car theft prevention - It helps you in car theft prevention as you will know where your car is at all times. You will know if someone tries to steal your car. If you want you can even hardwire it and hide the Vyncs device using a Y-OBD-II extension cable so that the thieves have a hard time finding it. Monitoring teen driving - The Vyncs GPS will allow you to know where your teen is driving at all times, and you can monitor additional habits such as driving speed, sharp turns, rapid acceleration, and harsh braking. You can also add advanced features like curfew hours alert and speeding policy violations reported on the map. Reliable Real-Time GPS Tracking - Get data from the Vyncs device in your account through the cloud-based technology over a 3G/2G wireless network in real-time. It comes with all the bell and whistles that you would expect from a great GPS tracking product. Trips, zone arrival/departure notifications, start/stop street addresses, live maps are few of the examples. No Monthly Fee - In general GPS tracker prices are hefty but Vyncs offers you all the valuable information at an unbeatable price. The best part is that it does not change any monthly fee. Web based & Android/iOS GPS app: The vehicle tracking data can be seen through a web or mobile-based app. The user has to download the app, log in with the credentials and set up the vehicle/driver details. Each and every driver listed in the app can be tracked with the device. To conclude, GPS tracking is an incredibly important technology and it is quite useful in today’s society. Understanding how GPS technology works and the specific benefits of car GPS trackers will make your car as safe as your home. So, get a car tracking unit for your car and make sure you get Vyncs. Add Vyncs to your car. Sync it with your life! In 2016 alone, all motor vehicle thefts totaled a loss of $5.9 billion, including automobiles, trucks, buses, motorcycles, and all other motor vehicles. By the first half of 2017, the number of vehicle thefts increased by 4.1%. There is constantly an increase in vehicle theft/car break-in statistics as the years go by. How can we fight against car thefts and make sure our vehicles are secure? This article will tell you how you can prevent your car from being stolen, types of car thefts that you should be aware of, and what you should do in case your car does get stolen. You’ll be equipped with everything you need to deal with these situations. There are many different types of vehicle thieves, and understanding their intents and common schemes will help us better prevent car thefts. Some thieves only want your car for parts. Sometimes, they might just steal some car parts and not the car itself. This is a situation in which parking in a public well-lit location can prevent this. Additionally, parking close to the curb with the wheels turned in will make it difficult for the thief to steal your tires. These kinds of thefts are usually done by professionals, and if you do retrieve your car in the end, it probably won’t be in one piece. Time is even more important in these situations, so give the police as much information as you can so you can hopefully get your car back intact. Some car thieves steal luxury cars for a joy-ride. In these situations, they are likely not professional car thieves, so loud alarms and blinking lights are more likely to scare them off. People often get their cars back in these situations, but the damage may be sustained to the vehicle. For those who simply steal the car for a joy-ride and then ditch the car somewhere, Vyncs GPS tracker will be very helpful for retrieving your car. Steal car for valuables: There are also thieves that will break into your car just to steal valuables, and the best way to avoid these thefts is to of course keep valuables out of sight of possible perpetrators. Other vehicle theft scenarios: In some vehicle theft scenarios, one person will rear-end your car so you get out to check it. Then, another person will then steal your car, and both people will drive off. This is why you should never leave your car running when you’re not in the car! If you need to leave your car to check a rear-end, turn your car off and LOCK IT. If you are rear-ended and it appears to be a car theft situation, just stay in your car and call the police to report the situation. Make sure to get the license number of the car that rear-ended you. If the rear-end bump is part of a car theft scheme, collecting as much information about them as possible to report them to the police will help prevent more vehicle thefts. Vehicle theft can be prevented with the following steps and we will discuss some of the most effective methods for preventing vehicle theft below. Don’t lose your keys. Make sure you always know where they are and make sure they are in a safe, private location where they cannot be stolen. Beware of pickpockets. NEVER leave your car keys in your vehicle. Keep spare keys safe. You can keep your spare keys at home or with someone you trust. Do NOT keep it in your car or in a publicly accessible location. Always lock your car. Even when you’re driving, make sure you keep your car locked. Avoid keeping valuables in the car. Keep valuables at home or take them with you when you leave your car. If keeping valuables in your car isn’t avoidable, keep them out of sight. Easily visible valuables in your car will automatically make it a target. You may lose your valuables and your car, or you may be left with a damaged car and missing valuables. Never leave a running car unattended. Even if it’s only for a short time, don’t take the risk. It won’t take much extra time to turn off your car and lock it. Don’t make it easy for thieves to steal your car! Do not leave vehicle registration in the car. If the thief gets pulled over and your vehicle registration in the car, they’ll be able to claim ownership of the car. Always keep your car registration with you so if the thief gets pulled over they won’t have the registration! This will make it more likely for you to get your car back. At night, avoid parking your car in dark locations. Instead, try to park your vehicle in well-lit areas that are less likely to be targeted. Thieves tend to target cars that are parked in dark and isolated locations, so this is exactly what you should be avoiding! Don’t leave car windows open. Leaving your car windows open will make it easier for a thief to break in and steal your car. Don’t lock your car but forget to roll up your windows. Make sure your car alarm works. Loud alarms and flashing lights will scare off the thieves in some cases and draw attention to your vehicle being stolen so someone will call 9-1-1 and report it. Witnesses will make it easier to retrieve your car if it’s stolen. Don’t make it easy for the thief – make a scene! Be aware of loiterers in parking lots. If you see someone loitering in an area, avoiding parking in that location. It is important to always be aware of your surroundings. Beware on holidays. Most car thefts occur on Halloween, so be especially wary on this day. Get a GPS tracker for your car.GPS trackers will allow you to track your car if it gets stolen, so you’re likely to be able to get it back. Next, we’ll talk a little bit more about GPS trackers for your car. GPS trackers are devices which you can keep in your car at all times to track the movements of your car. The Vyncs GPS tracker plugs into the OBD-II port of your car, so it does not use a battery that will need replacement. This means your GPS tracker will always work, and you won’t have to worry about it dying when your car gets stolen. You can also use the GPS tracker to periodically check up on your car to make sure it’s still exactly where you parked it. Vyncs provides remote GPS tracking through their Android and iOS phone app and through their web portal from your computer. With these features, you can track your car anytime, anywhere. With 3 minute GPS updates, upgradable to as fast as 15 seconds, you’ll always know where your car is. Even when your car is off, the Vyncs GPS tracker will still work. The device will turn on and update the car’s location every 1 hour. Hiding your GPS tracking device is essential. You don’t want a thief to see it and unplug the device, or you won’t be able to track your car anymore. OBD cables are a perfect solution for keeping your GPS tracker away from the eyes of thieves. What are OBD cables and how do you use them? Extension cables and splitter cables are handy in deceiving thieves so they cannot find or see your GPS tracker. The extension cable can allow you to hide the tracking device in your glove compartment or another hiding location. The splitter will allow you to plug your tracking device into one of the wires that can be hidden. The other wire will appear empty so a thief wouldn’t think there’s a tracking device plugged in. This will prevent them from disconnecting your device, so you can always track your car. If your car does not have an OBD-II port, power supply cables can plug into the Emergency Power Supply or cigarette lighter and you can then plug your OBD device into that cable. All of these cables are not sold by Vyncs but can be bought from Amazon for less than $10. Preventing car theft is difficult no matter how much you do to protect your car, but it might still get stolen. If you get into this situation, we’ll tell you what to do so you can be prepared and can get your car back! If your car is stolen, remember not to panic. The first thing you’ll want to do is call the police and report the theft. Make sure to tell the police your license plate number and the year, make, model, and color of the car. If you noticed any suspicious behavior before your car was stolen, or even saw your car being stolen, make sure you report all the information and descriptions that you can. Do not attempt to chase down the vehicle yourself because you may be putting your life at risk. Your life is more important than your car! If you have Vyncs GPS tracking device, you can immediately start tracking your vehicle and notify the police of the thief’s location, and they can help you get your car back. Add Vyncs to your car. Sync it with your life. Get your car back in no time! Are OBD Car Trackers Better Than Generic GPS Trackers? What's the difference between an OBD tracker and other car trackers? OBD trackers work through a vehicle's OBD-II port. If you've ever seen car mechanics plug a small device into your car, they were likely using an OBD-II scan tool to get information on what is wrong with your car. Likewise, OBD car trackers can get information from your car through the same port. Unlike other car trackers that only use GPS location information, OBD trackers get location information in addition to information from the vehicle. Meanwhile, generic GPS trackers are what most people think of when they think of tracking. They use satellite technology to find the location of the device. Depending on the size of the device, a generic GPS tracker can be used to track many different things, from cars to people. However, they only track one thing: location. Generic trackers sacrifice richness of information for versatility. So when it comes to tracking cars, which OBD trackers specialize in, generic trackers don't seem up to snuff. Why is OBD better for vehicle tracking? It's easy to install and use. Once you find the OBD port in your vehicle, which is normally located under the steering wheel above the gas pedal area, installation is a breeze. You simply place the small device into the slot, and it takes car health and maintenance data from the port. With the Vyncs OBD tracker, for example, either log on to the Vyncs website or the Vyncs app in order to view the data. It doesn't need charging. Most car trackers contain a battery that needs to be charged regularly about once a week or so. OBD car trackers don't have a battery and don't need charging. They essentially never need to be removed, so there's no fear of having it die just when you need it. It collects more data. Because OBD trackers are plugged into the car, it can collect information from the car to help you understand your car better. By using an OBD tracker, you can track your vehicle's fuel economy and mileage. An OBD tracker such as the Vyncs tracker can also provide diagnostics for vehicle problems. Even better: the smarts from the Vyncs AI system will provide personalized suggestions on how to optimize fuel and maintenance costs. It helps you drive better. The Vyncs GPS tracker automatically detects unsafe driving behaviors such as speeding or sudden braking. In addition to knowing where and when you (or others) are driving, you know how well you drove. Vyncs scores drivers and provides graphs and tables to evaluate the data. Comes handy if you have newly minted drivers at home. It costs less than you think. Vyncs OBD trackers work on an annual plan, with regular Vyncs at $72.98 per year and Vyncs Fleet at $99.99 per year. Don't let the large numbers fool you; other trackers often charge per month, but when added up their annual rate is much more than that of Vyncs. For the added efficiency, data, and peace of mind it can give, it's well worth it. If you're looking for a way to track a vehicle, it's worth thinking about what kind of tracker you want. If you favor versatility, go with a generic GPS tracker. If you want to track a vehicle in multiple aspects, not just location, OBD trackers are the way to go. Distracted driving is a major concern today. Just like driving under influence it is identified as a major cause that loss of life and properties. Over 330,000 accidents per year are caused by texting while driving. Over 78% of all distracted drivers are distracted because they have been texting while driving. 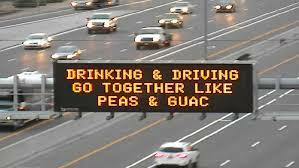 Drive safe! In 1952, Alexander S. Douglas developed OXO, a software implementation of tic-tac-toe game for the Electronic Delay Storage Automatic Calculator (EDSAC) computer. In 1958 William Higinbotham created the Tennis for Two game at the Brookhaven National Laboratory Car racing games played an interesting role from the early days of video games. In 1974, Taito released Speed Race, a car driving game designed by Tomohiro Nishikado. The game involved scrolling graphics, wheel controller interface, gear shift, speedometer among other features. In the same year, Atari released another early car driving game in the arcades, Gran Trak 10 where a player could play against the clock and get points.